Pre-order your copy today and enter discount code ITILGUIDE at the checkout to save 10%. ITIL 4 is the latest evolution of the leading best-practice framework for ITSM (IT service management). It has been significantly updated from ITIL v3 and addresses new ITSM challenges, includes new technologies and incorporates new ways of working. 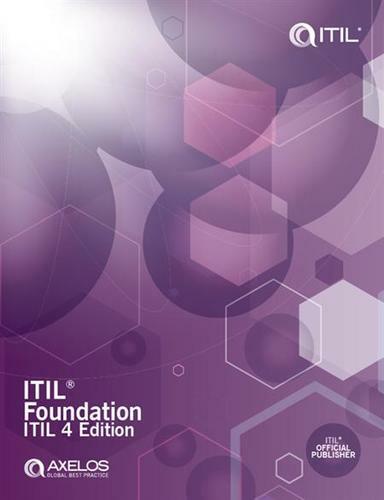 ITIL Foundation Essentials - ITIL 4 Edition* is the ultimate revision guide for candidates preparing for the ITIL 4 Foundation exam. It is fully aligned with the Foundation course syllabus and gives a clear and concise overview of the facts. You can use it in place of writing revision notes, giving you more time to focus on learning the information you need to pass the exam. Explains the key figures and diagrams in the ITIL syllabus. Fully updated to reflect the changes introduced in ITIL 4. New sections on the guiding principles of ITIL and the four dimensions of service management. Updated overview of the ITIL Foundation exam. Start preparing for your ITIL Foundation exam – order your copy today. * This book is currently pending accreditation by AXELOS®. Claire Agutter is a service management trainer, consultant and author. In 2017 and 2018 she was recognised as an HDI Top 25 Thought Leader and was part of the team that won itSMF UK’s 2017 thought leadership award. Claire is the host of the popular ITSM Crowd hangouts, and Chief Architect for VeriSM. Claire is the director of ITSM Zone, which provides online IT service management training, and Scopism, a content and consulting organisation. 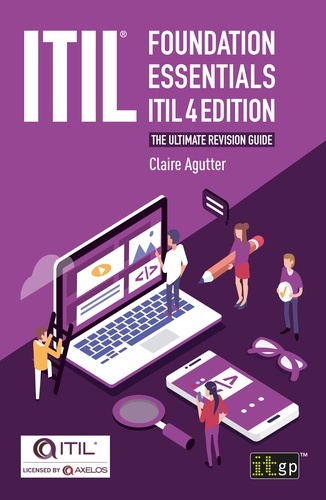 After providing training to thousands of successful Foundation delegates, she has condensed the ITIL 4 key concepts necessary to pass the Foundation exam into this guide.